Hiralal Mukhopadhyay is one of the fortunate 11 soldiers fought and won an unequal battle against the East York in 1911. Aitrayee Sarkar revisits the decaying memories with Hiralal’s successor Gautam Mukhopadhyay. When Shibdas Bhaduri was given the responsibility of preparing Mohun Bagan for the Indian Football Association (IFA) Shield of 1911, he changed the entire composition of the team. Bhaduri, who was the captain of the team then, brought in Avilash Ghosh, dropping experienced Sarat Singha. Later, that decision proved a master stoke as Ghosh scored in the Shield final against the mighty East York. The Indian football fans, especially the game lovers of Kolkata, often recall that history and become nostalgic. To them the wining of the Shield in 1911 by Mohun Bangan defeating the Englishmen was an event that has given them the opportunity to glorify their past. Bengalis are often called a reminiscent community. But unfortunately, they are somewhat indifferent to their roots. Their ‘selective recollection’ of the Shield final of 1911 is a perfect example of that. The 100th anniversary of the Shield victory of 1911 was celebrated massively in 2010 by both the Mohun Bagan Athletic Club and IFA. After that silence resurged. “There are books published on the subject, movies made on it and huge number of newsprint used to document the Shield victory. But authenticity of many of those should be questioned” said Gautam Mukhopadhyay, grandson of the great Hiralal Mukhopadhyay, the goalkeeper of Mohun Bagan’s first playing eleven in the Shield final. In those days, Hiralal was lovingly called Kalapahar (the black mountain) for his extraordinary ability to save goals. None could penetrate him in the Shield quarter-final against the Rifles Brigade. Hiralal, however, could not save the penalty kick of East York’s Jackson in the final match but that goal could be attributed to his team-mate Sukul’s mistake rather than his own misjudgment. Narrating the incident Gautam Mukhopadhyay said, Hiralal was kicked directly on the face by the East York players when the final match was about to get over and he became unconscious on the field. He remained unconscious for three days. After coming back to sense the first query he made was “Have we won?”. His jaws were so badly hit by the English players that he could never recover from that injury, added Gautam. 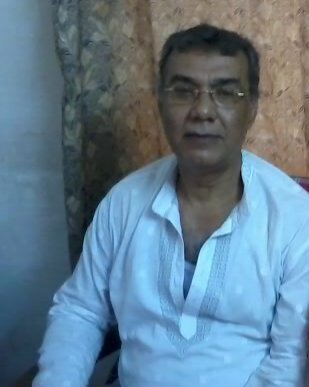 Turning pages of books and collection of paper cuttings, Gautam Mukhopadhyay without any hesitation admitted that the club (Mohun Bagan) did not do justice to the memory of its first 11 heroes who actually established the fame and glory that the organization is enjoying now. “They often use that achievement as a reference to survive in moments of crisis”, he said. Hiralal Mukhopadhyay remained associated with Mohun Bagan all through his life but his role was never recognized by the club. Gautam recalled that people used to come to his grandfather for recommendation and the old man never refused anyone. Hiralal was a man of words, a true Swadeshi (patriot). 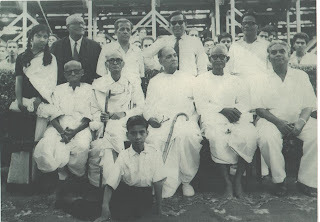 He used to wear simple traditional Bengali dhoti-kurta. He loved to live independently and hence, never joined any service out of fear of being caged. Gautam Mukhopadhyay shared a few stories about his, Dadubhai, Hiralal with us. One particular story is worth mentioning-- years after winning the Shield one day Hiralal came across his captain Shibdas Bhaduri in the market. Bhaduri tried to dodge him from behind but Hiralal remained unmoved. Later, the goalkeeper told his captain “Aj o parle na” (cannot cross me even today). Talking about lack of authenticity of the available information on Hiralal Mukhopadhyay, Gautam said, he was a student of the Shibpur Engineering College but unfortunately, he was portrayed as a brick kiln worker in a recent movie. Hiralal could not complete his degree as the then British authority of the College expelled him for playing the Shield final on 29 July, 1911. Being failed to get permission from the College authority to play the match he jumped over of the walls of the institution. Gautam Mukhopadhyay, who himself played club football in Kolkata, complained that the heroes of 1911 have become victims of the petty club politics of Mohun Bagan. “The club is not bothered to erect a statue in memory of these great men in front of its main entrance”, he regretted. Adding insult to injury is the much-hyped Mohun Bagan Ratna (the jewel of Mohun Bagan) medallion given to Hiralal Mukhopadhyay’s family in 2010 has already started to show signs of decaying. “I don’t know what they (the club authority) wanted to mean by giving such a medallion! We never expected anything (from the club). So there was no need to give the award. What matters to us is intention, we are not hungry of fame”, Gautam Mukhopadhyay added. The Mukhopadhyay family could not hide their disappointment and they, in fact, are in no mood to spare anyone. They feel betrayed and insulted. But once in a while people still come to them with queries about the great Shield victory by Mohun Bagan. Gautam patiently shows them his collection of old photographs, articles and letters preserved with due affection. I wonder whether the hero hidden in him would ever get the opportunity to pass over the legacy of memories in safe hands.